Under the control of Governor Phil Bryant and Lieutenant Governor Tate Reeves Mississippi Government spending has increased 26%. Now the Republican and Democrat political establishments are working together to take money out of your pocket to cover their over spending. HB 480 would create a mechanism to collect internet sales tax from Mississippi consumers. It already passed the Republican controlled House by a 79-38 vote. If you oppose the collection of an internet sales tax--which could result in hundreds of millions being taken out of our economy--will you please pick up the phone, call your senator at 601-359-3770 and urge them to vote against HB 480, the internet tax. Mississippians can't afford more taxes. This proposed law is in direct conflict with existing U.S. Supreme Court precedent, will take more money out of the private sector, and will open Mississippi businesses up to harmful regulations from other states. Did you hear that Amazon will start collecting a sales tax in Mississippi for a tax that doesn't even exist. How can we allow companies to collect made up taxes on real Mississippi citizens? Our state government should be protecting the people from such abuses instead of encouraging these unlawful acts. The Democrats and Republicans are also working together to increase your gas tax. Remember that government can only increase its spending by taking money from the people. Shouldn't our elected officials in Jackson reduce their spending so the people can keep more of their own money? 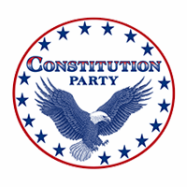 The Constitution Party of Mississippi is the only political party that actually believes in the constitution and responsible government. Join now and let's give the power back to the people.